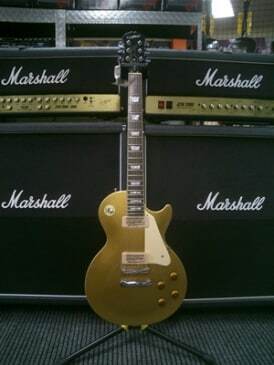 Epiphone’s 1998 guitars included four different models: the Les Paul Studio, the Les Paul Studio Pearl (pearl toggle switch cover, pearl pickguard and pearl truss rod cover), the Les Paul Deluxe and the Les Paul ’56 Goldtop. 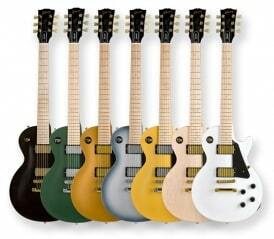 The Studio features classic Les Paul styling with a set neck and Epiphone humbuckers. The Studio Pearl includes pearloid pickguard and accents. 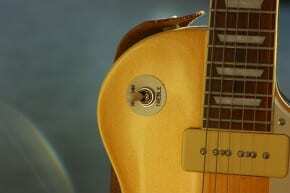 The ’56 Goldtop has Cream Soap Bar P-90 pickups featuring Alnico-5 magnets.